The Home Store provides the following links to useful resources, relevant organizations, and companies in our field. If you are interested in reciprocally linking with us, please visit our Let’s Link page. Energy Star Homes – The Home Store is a proud builder of Energy Star Homes. Let us help you design a custom plan that includes the U.S. Environmental Protection Agency’s five-star rated enhancements. Your new home will have increased energy efficiency and lower operating costs. It will also have greater indoor air quality, comfort, and safety. A tremendous value! Excel Homes – Excel Homes is a modular manufacturer. Manorwood Homes – Manorwood Homes is a modular manufacturer. Better Business Bureau – We are a member of the Better Business Bureau. National Home Builders Association – We are a member of the National Home Builders Association. Redbud Homes has been building dreams for over thirty years. Come see a new concept in home building. Two locations in Indiana and a large selection of floorplans. Finish Werks – building green modular homes and additions in Maryland and offering modular home floor plans in Maryland with a focus on sustainability and truth in building. 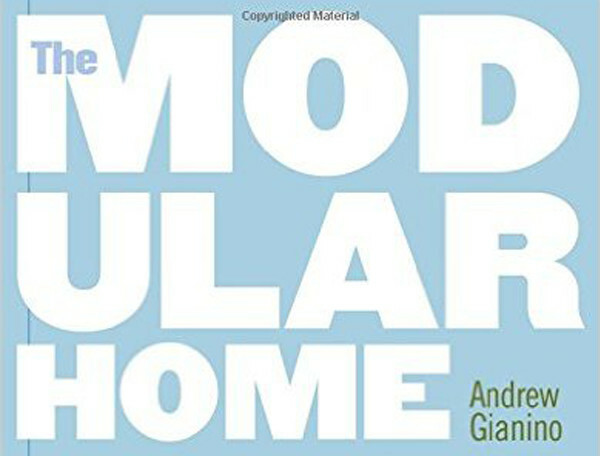 See the 10 key steps to design and build your modular home. Plattsburgh Housing Outlet has been building quality affordable manufactured and modular homes for the past two decades across Northern NY & VT. Visit plattsburghhousing.com to see why the Manufactured Housing Institute names them retailer of the year for the Northeast. American Homes has provided Manufactured Housing to Central, Upstate and Northern New York State for over 45 years. With over 5,000 satisfied customers since 2000 and over 400 homes sold just last year, we pride ourselves with providing customers high quality energy efficient homes in a variety of types and styles. B&R Keely Builders, a family run business, offers high-quality, affordable and personalized building services across Pennsylvania’s beautiful Pocono Mountains. Wilson Homes, “Your Unique Custom Home Builder”. Modular and New Home Construction in Pennsylvania, Maryland, and Virginia – Award winning Schaff’s Home Center has been providing quality affordable modular and manufactured homes for over 40 years. Homes by Vanderbuilt is a licensed general contractor in North Carolina, South Carolina and Virginia – We have been in the modular housing business since 1984 and are privileged to have served thousands of satisfied homeowners. New Castle Homes – Building homes since 1976, New Castle Homes is the largest supplier of manufactured and modular homes in Western Missouri. Home Builders Northwest Arkansas – Since 1990 Elder Construction has built hundreds of Custom Homes, Condominiums, Duplexes, Apartments and Commercial Buildings in Arkansas for many satisfied customers. Elder Construction is a family owned and operated company, building in Arkansas since 1988. Chris and Kerri Elder, and their sons, are committed to providing the highest level of quality craftsmanship, design and efficiency. Fry’s Custom Homes Inc – We have been serving customers for 16 years in South Central Iowa and Northern Missouri. We take pride in providing a quality built home that meets your specifications. We are family owned and operated, serving your home construction needs, one family at a time. Come visit us and see why we are making a difference in home ownership and construction for your future. We cover South Central and South East Iowa, in Missouri we cover North Central and North Eastern areas. Yates Homes is a major supplier of system‐built homes in Virginia and North Carolina. Well known for innovative designs, superior construction and outstanding service; our team of professionals strive in combining eye‐catching curb appeal with a broad set of options to allow you to create a home uniquely your own. Our custom modular homes offer value, quality, affordability and flexibility. Coastal Modular Group builds custom modular homes in NJ. We have plenty of floor plans to base your home off of, and we can take any photo or idea you have and incorporate it into your design. You can even take a virtual walk-through of your home design! Modular Construction Services has been providing custom built modular homes and 2nd story additions since 1997. They are experts in all modular construction. Visit our website for more information. How to Build A Healthy, Green Home – Linda Mason Hunter, a pioneer in America’s green movement, details the many things you can do to build a healthy, safe, and green home. Construction Loan Center – Powerful Construction Loan Programs combined with Expert Advice, Killer Rates, and Prompt Service.